Vintage Crime/Black Lizard, 9780307388995, 464pp. Ridley Jones has been living a lie. 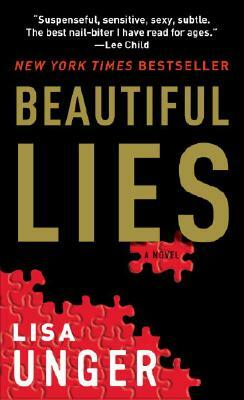 A mysterious package showed up on her doorstep one morning and the beautiful lie she used to call her life was over. Suddenly, everyone in she knows feels like a stranger. She has no idea who's on her side and who has something to hide—even her new lover, Jake, might have disturbing secrets of his own. Lisa Unger was born in Hartford, Connecticut, but grew up in Holland and England. A graduate of The New School for Social Research, Unger spent many years living and working in New York City. In 2000, she left a career in publicity to pursue her dream of becoming a full-time writer. She lives in Florida with her husband and daughter.